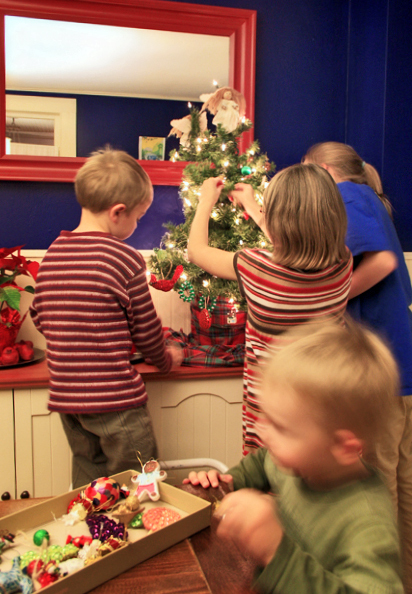 The process of celebrating Christmas is well under way. 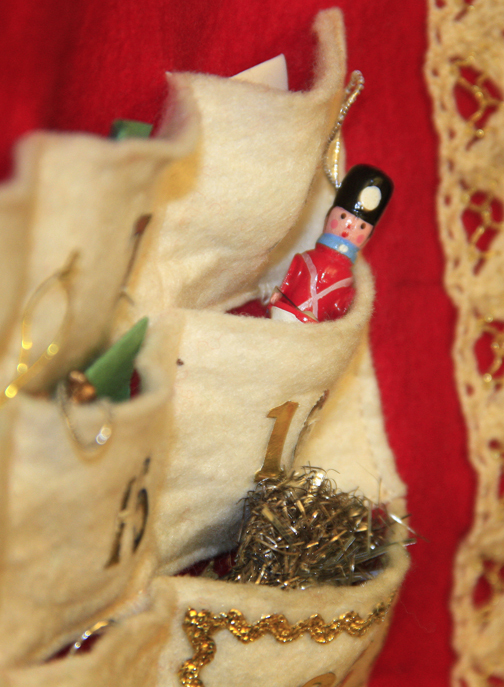 We have an antique family advent calendar that helps us enjoy the Christmas spirit on a daily basis. 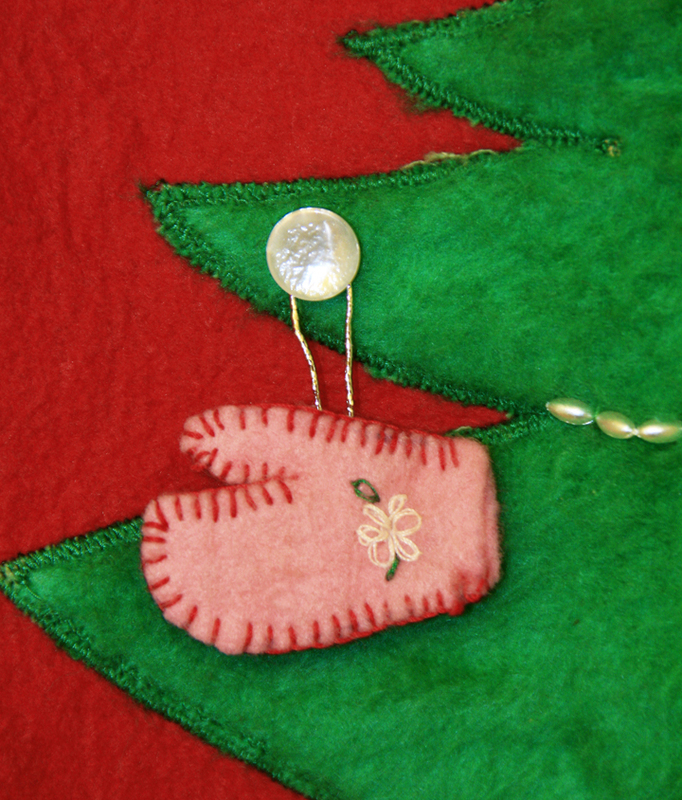 Each pocket contains a tiny ornament to hang on the tree and a small piece of paper on which is written an activity. These range from “sing 2 hymns” or “read a Christmas story book” to “visit the annual gingerbread house exhibit” or “buy and decorate the big Christmas tree”. 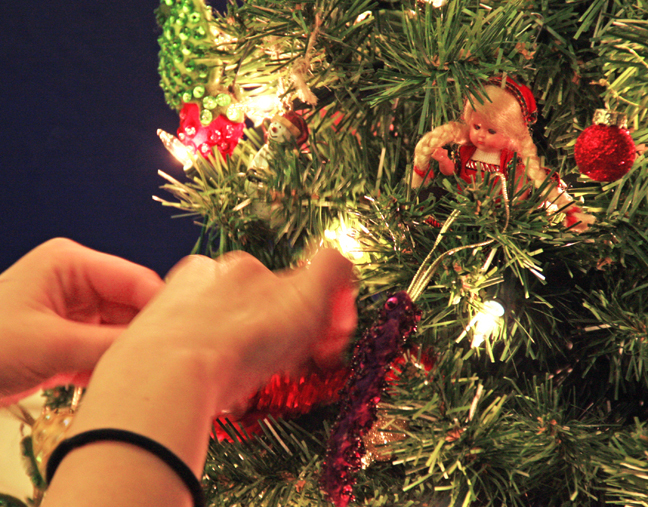 Yesterday’s activity was to decorate the little children’s tree. 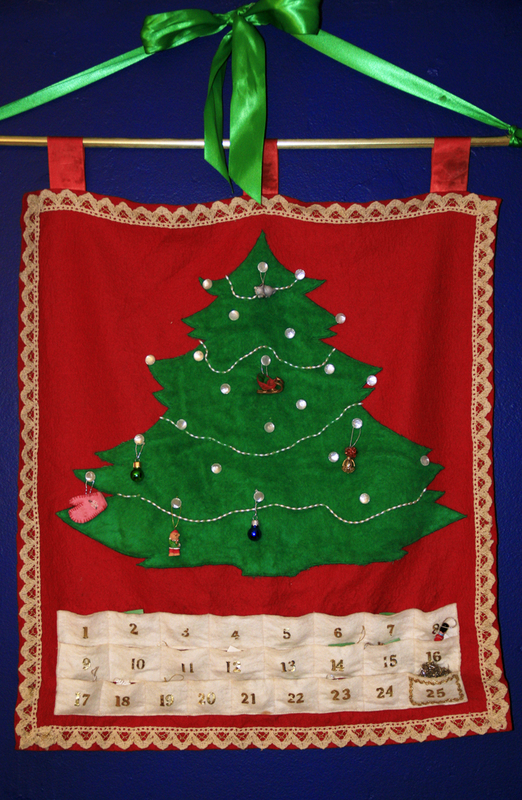 This one receives all the kids’ hand-made ornaments we have collected over the years (plus the antique sequined fruit of which I am inexplicably fond) and they love each one of these familiar treasures. The magic has begun, and the children are very happy. This entry was posted in Holidays, Winter by Maren. Bookmark the permalink. Aww. Lovely. I adore the sequined fruit too, some of my favorite ornaments. Very fun! We have been doing our activities this month and every night I have to check and make sure the activity for the next day still works. With Dave home and surprising the kids with activities, they have often already done what I have on tap, luckily there is always something else fun to add to the list.